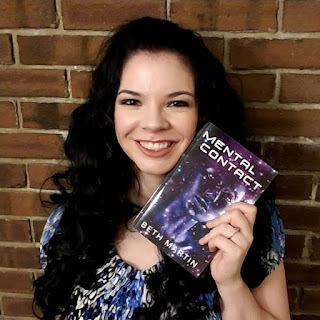 I’d like to share with you my upcoming novel, Mental Contact! Mental Contact is a thrilling science fiction novel that will keep you guessing until the very end. Mental Contact will launch on March 20, 2018. I will add a preview of the first few chapters soon, so keep a lookout for that. I actually wrote the majority of this novel while participating in NaNoWriMo 2016. It’s gone through quite a bit of editing and polishing since then, and I’m pretty pleased with the final project. Before drafting this novel, I had never written a story in first person. Although it was a challenge being limited to a single perspective, I really enjoyed getting inside Jake’s head. He blames his current situation on his past experiences with mental illness. It’s made him bitter, and he refuses to shoulder any blame. Naturally, when he finally does decide to take his life into his own hands, he makes some bad choices, followed by even worse ones. I’ll be recruiting readers for launch day reviews in the next couple months, so join my newsletter if you’re interested in getting a free advance review copy!